Appointment of second rider for MX Nationals yet to be determined. 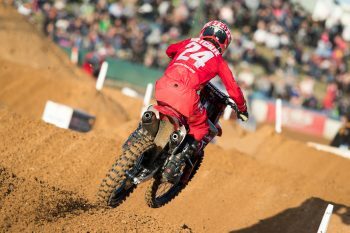 Brett Metcalfe will continue on with Penrite Honda Racing in 2019, the Victorian-based operation confirming the extended signing of the former international today. Metcalfe enjoyed a successful end to his 2018 season after mixed campaign in the Pirelli MX Nationals, which was riddled with a number of unfortunate events, although he bounced back in the Australian Supercross Championship, challenging for the crown before earning runner-up honours. “This year has been rewarding for many reasons,” said Metcalfe. “Winning a round of supercross was important for me and the team. I am building a trusting home at Penrite Honda, my family is settling in at home in Mannum and I am back in the motherland after 18 years overseas. 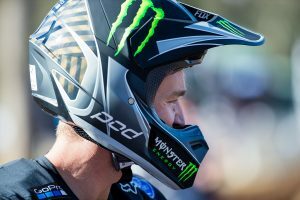 “The bonus was finishing second in the Australian Supercross Championship with a new team and on a new bike. We proved this year we could be competitive in motocross – we were in the top three several times in races and we scored some podium finishes. Team owner Yarrive Konsky hailed Metcalfe’s efforts over the year, while he also revealed that it’s yet decided if a second rider will be appointed. “Brett and I have formed a trusting an open friendship and this certainly makes it easy to work together,” Konsky commented. “It is astonishing to think he accomplished everything he did when you really know what he has gone through this year, moving his life back to Australia and spending a lot of time apart from his wife. 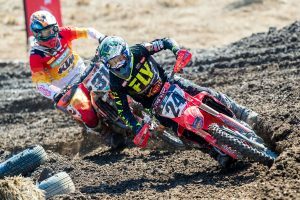 In 2018, Penrite Honda Racing fielded Metcalfe in the MX Nationals, along with youthful talent Callum Norton for a portion of the series, while in the supercross it drafted in Americans Justin Brayton and Bradley Taft.